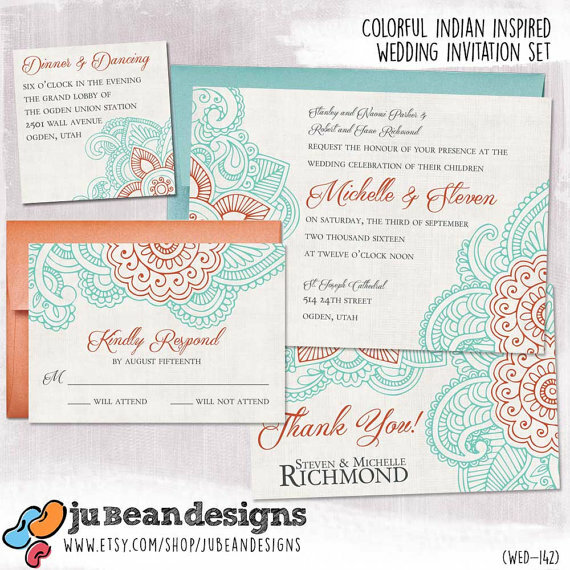 This bright and colorful Indian inspired wedding invitation set featuring color customizable henna artwork and script text is perfect for your wedding! 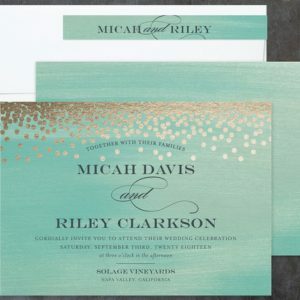 Customize the paper and color for a modern, traditional, subdued, or extravagant look. The insert card can be used for LDS sealing ceremony, reception invitation, registration information, directions, and more! Send your thank you card in an envelope as a flat or folded card, or choose a postcard style back. Colors and text will be customized to your preferences. Designed with our personal lab specifications in mind, but can be easily printed at home or at the printer of your choice.